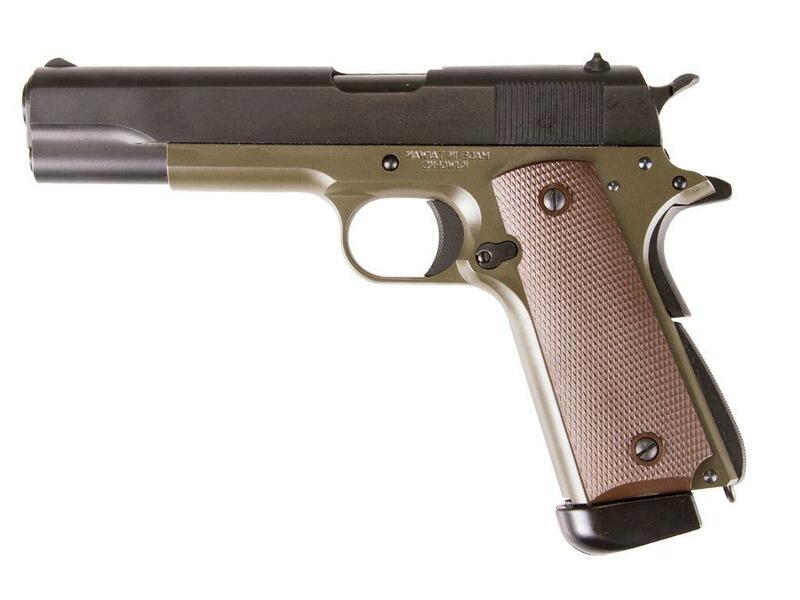 Buy Cheap KJ Works 1008 M1911 Full Metal Blowback Olive CO2 Airsoft Pistol|ReplicaAirguns.ca | Easter Weekend Sale! 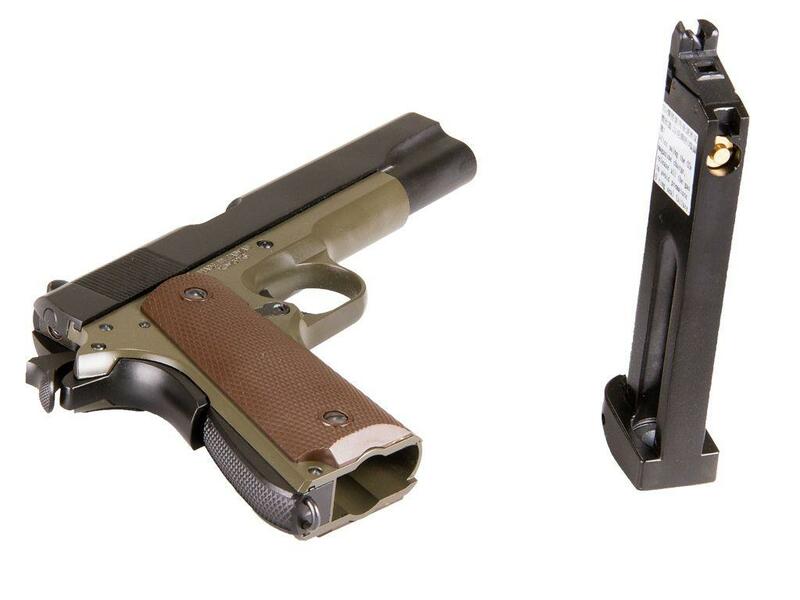 Trigger Pull: The trigger pull on the KJWorks 1911 is very good since it is modeled after a real steel 1911 which makes it short and crisp with a very light trigger pull. There is a very slight take-up at the very beginning of the pull but once you get past this the release is crisp and perceptible. Since it is not a double action trigger you will need to either rack the slide for your first shot or pull the hammer back if you have already chambered a round. 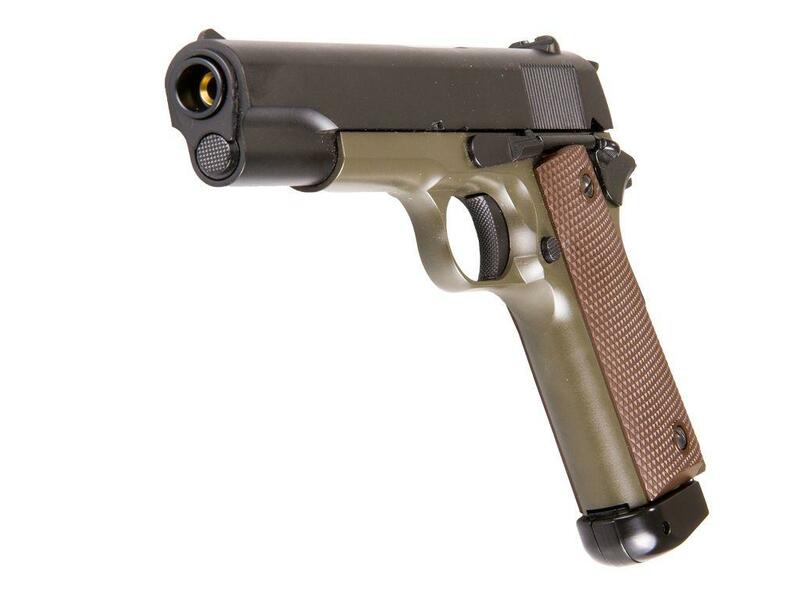 Comments:I am a big fan of 1911 pistols and love getting my hands on pretty much any version whether it be a Real Steel 45 caliber 1911, a 4.5mm Steel BB version or 6mm Airsoft Pistol as long as it has that true 1911 single action short light trigger to it. 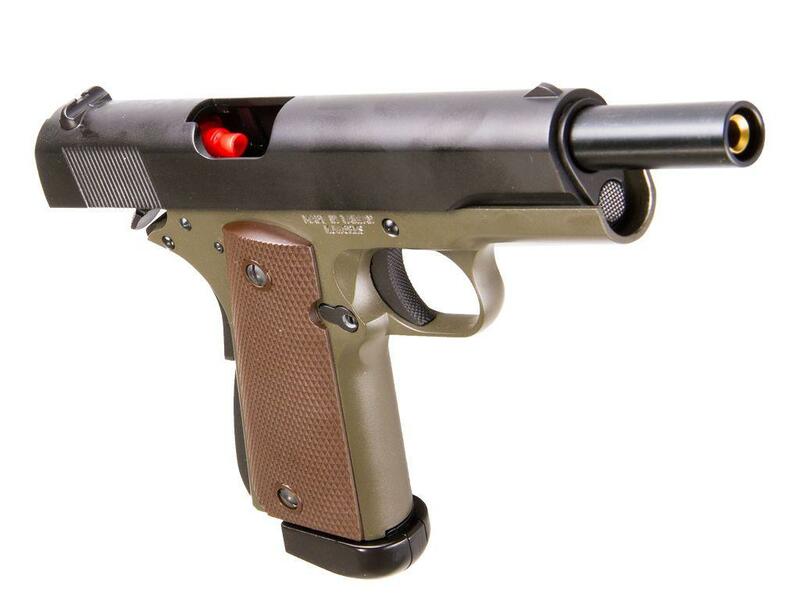 I love the way the slide cycles a bit slower than most semi auto pistols and this can be found in many Airgun and Airsoft version like this KJWorks 1911 making the shooting experience even more realistic. 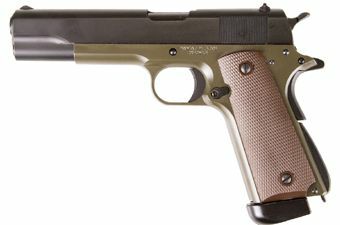 The fit, Finish and overall quality of the KJWorks 1911 over other brands is worth the slight additional costs so if you don't mind paying just a tad bit more for that extra quality and you're looking for a CO2 1911 then you will not be disappointed with the KJWorks Full Metal CO2 Airsoft 1911. We recently received some new pistols from KJWorks, The CO2 versions in Full Metal of the Colt 1911, the Berretta M9 and the Berretta M9A1. All of these guns are really well made, the fit and finish is excellent. 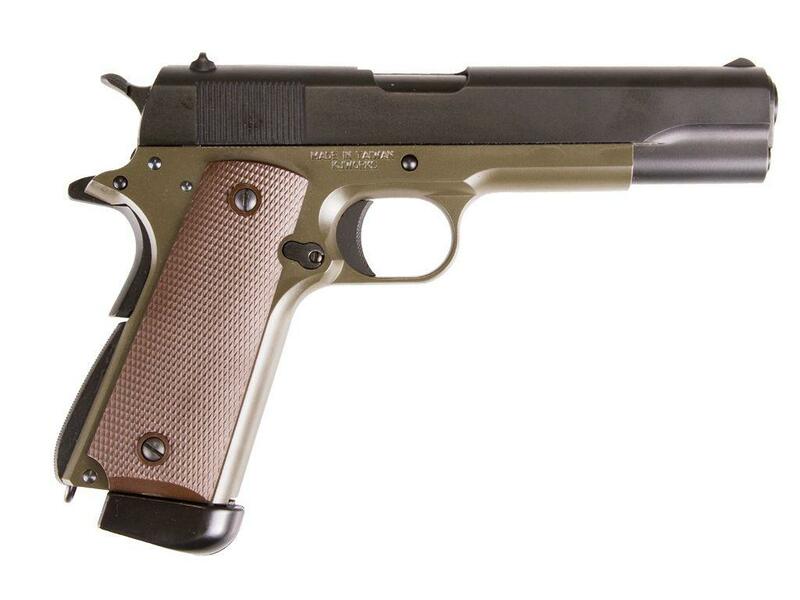 Definitely a very high quality Airsoft pistol and worth spending a little bit more to get this extra quality. We have even lowered the price on many of our new KJWorks guns to make them even more affordable so check them out in our Canada Replica Airguns Store! So I made a quick demo preview video where I get away from my table top and go outside to show them off a bit and shoot a few rounds through them at some clay pigeons. I did have some camera issues but you will get a good idea on how these guns look and perform.